BERG BAY, AK -- When you're kayaking through the Alaskan wilderness, you're likely to see a lot of wildlife. That includes kayak-eating bears. Mary Maley found that out first hand while solo kayaking earlier this week. She posted a video of her encounter with the hungry bear on YouTube. Maley says it happened outside a US Forest Service cabin in Berg Bay, Wrangell District, Alaska. She had stopped there to eat her lunch and go on a hike when the bear suddenly showed up. "I'm going to pepper spray you in the face. That's what I'm going to do to you," Maley tells the bear before fulfilling her threat. But then the bear, obviously upset with getting pepper sprayed in the face, heads down to her kayak for a little revenge. "Get away from that kayak! Come here," Maley pleads with the bear. "Please stop breaking my kayak, please!" The bear had no interest in stopping. "It's not even food! It doesn't even taste good," Maley yells. "It's the end of September! Why are you here? You're supposed to be asleep!" 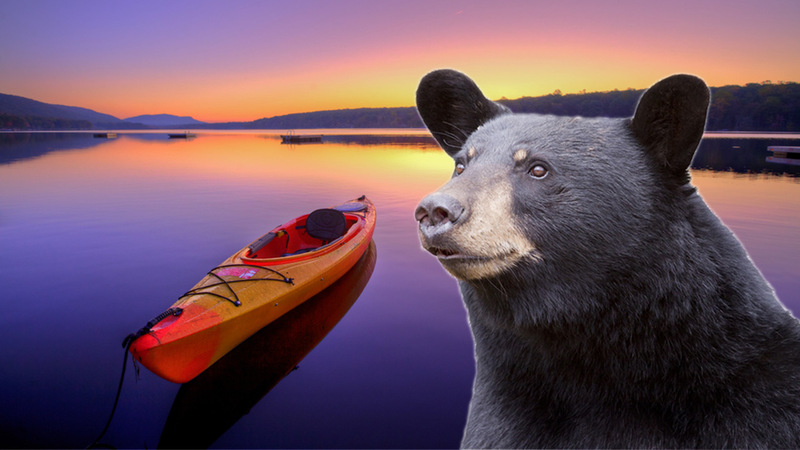 The bear did eventually leave, but not before leaving Maley's kayak in ruin. She says fortunately, she spotted an anchored sailing boat out in the bay. She was able to swim out to that boat to get a ride home. Maley says she's now trying to get her kayak repaired so she can go out on another trip.